Sun., 7 Jul. - Wed., 10 Jul. Thu., 4 Jul. - Wed., 10 Jul. Mon., 22 Apr. - Thu., 25 Apr. Mon., 1 Jul. - Wed., 3 Jul. Sat., 3 Aug. - Mon., 12 Aug.
See all 2,783 properties in Barcelona Intl. 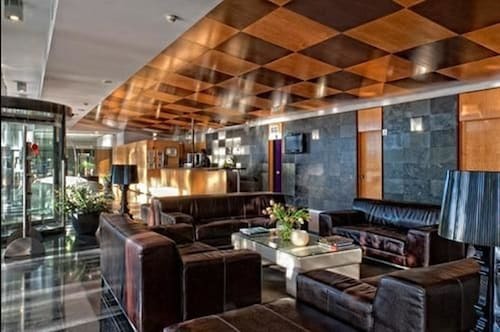 Situated near the airport, this hotel is within 9 mi (15 km) of Fira Barcelona, Port de Barcelona, and Camp Nou. Placa de Catalunya and Casa Batllo are also within 9 mi (15 km). Aeroport Station is 30 minutes by foot. 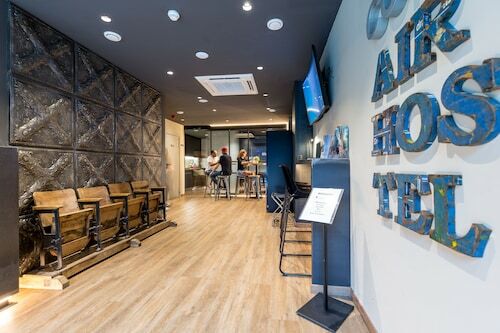 Set in El Prat de Llobregat, this family-friendly hostel is within 6 mi (10 km) of RCDE Stadium, Placa d'Espanya, and Magic Fountain of Montjuic. Gran Via 2 and Arenas de Barcelona are also within 6 mi (10 km). Barcelona El Prat de Llobregat Station is 28 minutes by foot and El Prat de Llobregat Station is 29 minutes. 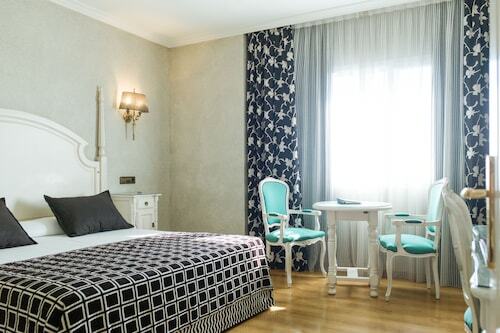 Situated in El Prat de Llobregat, this hotel is within 9 mi (15 km) of Castelldefels Beach, Placa d'Espanya, and Poble Espanyol. Fira Barcelona and Magic Fountain of Montjuic are also within 9 mi (15 km). 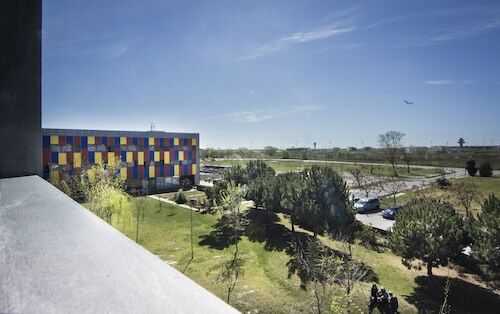 Situated in El Prat de Llobregat, Sallés Hotel Ciutat del Prat is a 6-minute shuttle ride from El Prat Airport, and within a 10-minute drive of such attractions as Fira Barcelona, Camp Nou, and Museu Nacional d'Art de Catalunya. 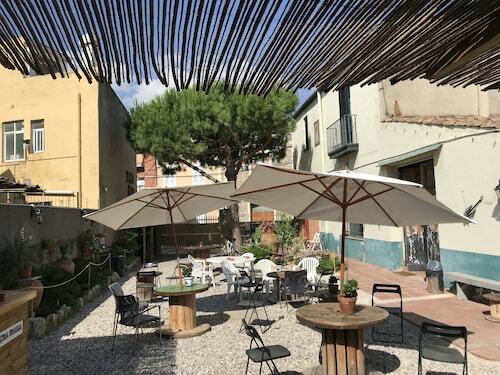 This El Prat de Llobregat hostel is on the beach, 3 mi (4.8 km) from RCDE Stadium, and within 6 mi (10 km) of Port de Barcelona and Joan Miro Park. Barcelona Botanic Garden and Placa d'Espanya are also within 6 mi (10 km). Barcelona El Prat de Llobregat Station is 11 minutes by foot and El Prat de Llobregat Station is 11 minutes. 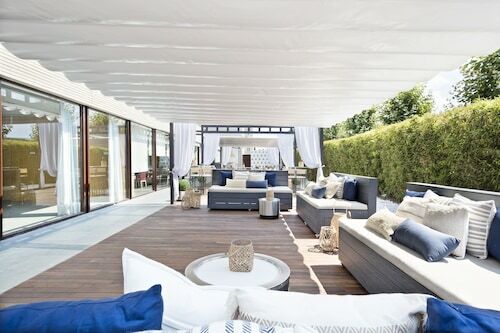 This gleaming white hotel at the entrance to the Zona Franca is two kilometres (one mile) from El Prat Airport and within four kilometres (two miles) from Barcelona Fira Trade Fair, Barcelona's Olympic Port and the Galería Olímpica. Situated near the airport, this hostel is within 6 mi (10 km) of Fira Barcelona, Porta del Delta, and Prat Beach. Camp Nou and La Rambla are also within 9 mi (15 km). Barcelona El Prat de Llobregat Station is 5 minutes by foot and El Prat de Llobregat Station is 6 minutes. Answer : Yes, you can adjust your departure or arrival date. If you want to save some funds in doing so, the cheapest day to fly in April is Sunday. Being flexible with your travel days can provide you extra savings when booking. Question : How long does it take to fly from Edinburgh to Barcelona? Answer : The average flight from EDI and BCN takes around two hours and 40 minutes. Remember, there is a time change of one hour. Question : Which airline has the least delays from Edinburgh to Barcelona? Answer : Booking with Norwegian Air International means you will arrive to Barcelona pretty close to the time your ticket states. In fact, this airline has an 83% average for getting there on time. Question : What is the cheapest airline flying from Edinburgh to Barcelona? Answer : Ticket costs are hitting highs of $771 over the next three months when flying to BCN from EDI. Check out Vueling, as they have bookings at just $119. Answer : The cheapest day to fly from Edinburgh to Barcelona is on Sunday. So, if you want to save a bit of cash on your next holiday look for flights on Sunday. Question : How much is a plane ticket to Barcelona (BCN) from Edinburgh (EDI)? Answer : Prices can range from $119 to $771. Booking far in advance can normally help you get the cheapest rate. Prices are usually cheaper the further out you book. Question : What is the cheapest date to fly to Barcelona? Answer : As of Apr 15th, the best day for deals to Barcelona (BCN) is May 15th. A ticket will put you out $119, which is 73% less than this route's average price.